Glass pipes, in the world of cannabis the glass pipe has become the dominate hand pipe of the newer generation. 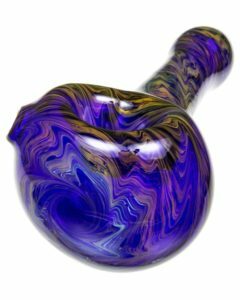 Glass blowers have been crafting this type of smoking pipe for decades now and have made this the #1 sold, type of glass pipe in the last 10 years. They come in many shapes and sizes as you may know and you can pick up some great glass pipes for cheap. From large Gandalfs, pocket size peanuts, steamrollers, bubblers to elaborate pieces that change color due to the fuming process when made, most anyone can find a favorite. 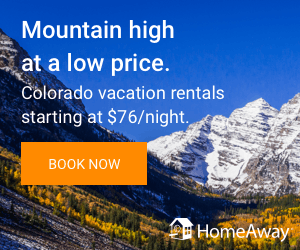 Now if your looking for one of the top 10 bongs we have a place for you to go. Nowadays it is easy to hop online and in 5 to 10 minutes, buy glass pipes for your liking. When choosing to buy a glass pipe be sure to look at the way it is made as you always want a functional piece. 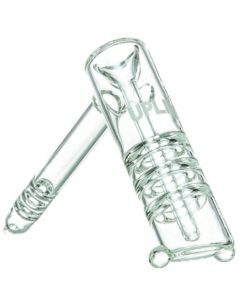 So a large deep bowl, an easy to find and usable carb, a strong shank, thick neck and comfortable mouth piece makes for a great glass pipe. Make sure your next pipe is made with a thick American glass to help resist breakage if you ever drop it. But now with so many glass pipes for sale online how to choose a good one, what’s the best glass pipes? Where to begin? DopeBoo asked us to pick our favorites from them to help you all out … so read on. Here are our picks for Top 10 Glass Pipes in 2019. 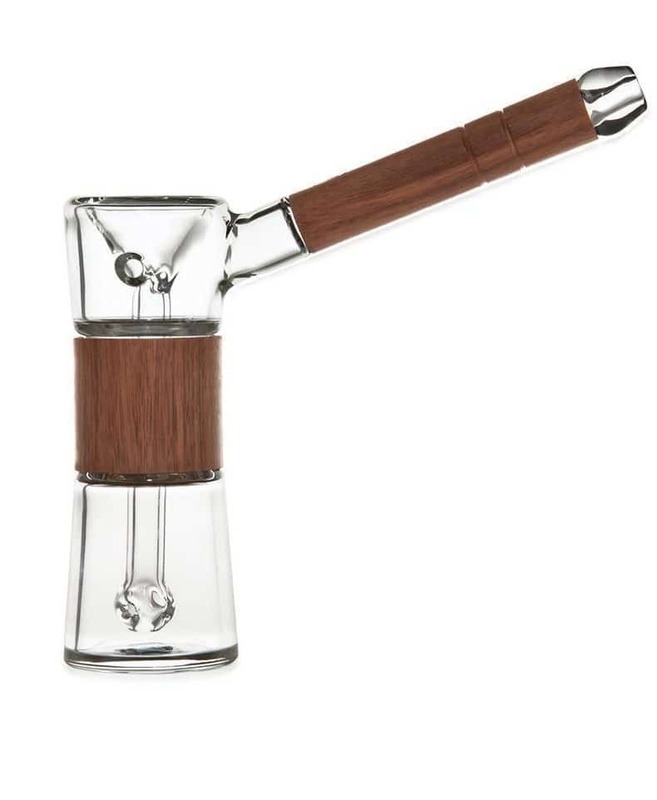 Made with very high quality glass and walnut, this glass bubbler from Marley Naturals is a beautiful pipe. This glass pipe is nothing like any other pipe you have seen. This hybrid of glass and wood is stunning and hits as good as it looks. A deep reservoir for water, a medium size bowl and an easy to use side carb, this pipe is one of a kind. As we like to keep this top 10 list interesting, here we have a glass pipe like no other and is bound to be a conversation starter at the next smoking session. 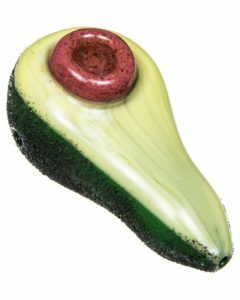 The Avocado hand pipe from Empire glass works in California is a pipe with humor. This piece has a deep “pit” bowl for your herb, easy to get to thumb carb and fits perfectly in your hand. Just don’t try to take a bite. This futuristic pipe is the Helix from Grav Labs’. This wild design delivers a hit so smooth you will fall in love the first time you use it. The “Venturi Chamber” is fitted with angled microholes that send smoke swirling like a hurricane with fresh outside air to give you flavorful hits of your favorite thing. This is a must have to any collection. Holy moley!! This huge steam roller will get a nice party going. We used a photo with a hand holding it to show you the size of this monster. 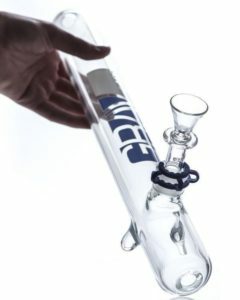 An 18 inch master piece from Grav Labs’ and features little “feet” to hold it up right, removable bowl/down stem, huge end carb and very thick scientific borosilicate glass. This is a must have for anyone who enjoys using steam rollers. 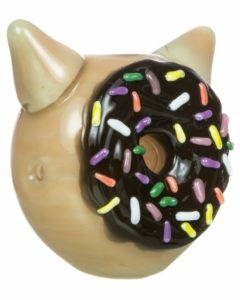 No your not seeing things, this is the infamous “Kitty Doughnut” hand pipe from Empire glass works. Once again they have made for you a one of a kind session maker as people will throw herb at you, just because they want to try this pipe. The delicious looking piece features a fat bowl on top, finger carb and ear as a mouth piece. Leave it to Empire to make another wild glass pipe. This very highly polished black masterpiece is a great pocket pipe for smoking and conversation. It has a deep bowl for your herb, it is 4.75 inches long and is made with thick borosilicate glass. You can also get this in “Glow in the Dark” for a few bucks more if you choose. This glass skull pipe comes from the great American pipemakers at Chameleon Glass and is bound to be a conversation starter at the next smoking session. The spoon glass pipe design is one of the most used in the hand pipe realm. 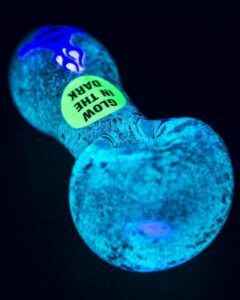 This clear glass “glow in the dark” spoon from Chameleon Glass is a great pocket pipe for everyday use. 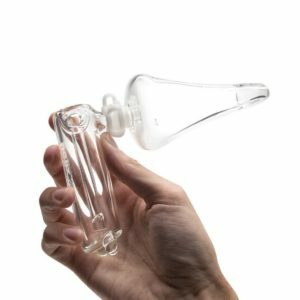 It is very easy to clean and has all of the things you need in a good glass pipe. This bright glow in the dark pipe has a deep round ash catcher, thumb carb and medium size bowl. This durable pipe will last for years to come. Be the baller at the next smoking session with this high end gold and silver fumed hand pipe. This glass pipe is made from the legendary Dan Rushkin and has 24 karat precious metals in it to give it the wonderful look. A deep bowl, thumb carb and long shank make this a great pipe. Keep this close as it is “precious”! This patented design by UpLine is one of the best bubbler designs in the last 5 years. This durable glass bubbler has a deep bowl, thumb carb, down perk and grooved mouth piece. The glass feet help it to stand up and resist spillage. This is a nice addition to every collection. This hand pipe gets your 3 pipes in one! This nice glass pipe from Helix features three different bowl heads you can change when you need. A flower bowl, a bubbler bowl and oil bowl round off this great pipe. This is an amazing invention for everyone to use. Pick one up and and not need another pipe again. Well that’s our top ten glass pipes we recommend any collector and daily smoker should have. Have fun when you go out shopping to buy glass pipes. If your needing a vaporizer we have the best vaporizers listed for you! Cheers!